Here at Go Plant Fleet Services we have a depot in Eastleigh, Southampton, which makes us perfectly placed to provide sweeper hire in Southampton and the surrounding areas. We have developed a reputation over our time in business for providing an expert service and an exceptionally well-maintained fleet of vehicles countrywide. 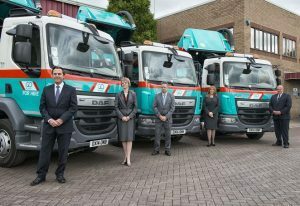 Our vehicle fleet is wide and varied and includes large sweepers, pedestrian sweepers, refuse collection vehicles, gully emptiers/combi units and street cleaning vehicles. Our sweepers range in sizes from small pedestrian sweepers that are ideal for precincts, pedestrian areas and areas where space is restricted, through to large sweepers suited to heavy duty projects. Our large sweeper hire vehicles are 7.5 tonne and 15 tonne, and are regularly used for highway maintenance. All of our sweeper hire in Southampton is available for both short and long term hire, and can be hired as operated or self drive. Our sweeper operators are all highly trained and qualified to ensure that projects are completed safely and to the highest standards. We’re incredibly flexible and work with a wide range of different customers which range from small independent businesses through to large blue chip companies; we can develop a package which suits your specifications. In addition to our high quality fleet of sweeper vehicles, we also offer an expert repair and maintenance service in the Southampton area. All of our sweeper vehicles are maintained to the highest standards and are supported by our 24/7 fleet support. If you would like to find out more about our sweeper hire in Southampton then please get in touch with a member of our team, who can answer any questions you may have.